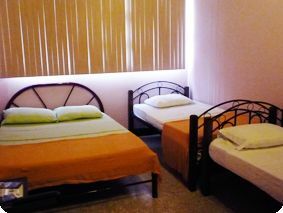 If you need a safe, clean, affordable and comfortable place to stay right in the very heart of the city, our hotel is the best choice for you in our Capital city of San José. Conveniently located just 25 meters away from main street, you will find everything our Capital has to offer: good restaurants, live entertainment, cultural events, museums, stores, recreational facilities, spas, etc. We are located just 20 kilometers away from Juan Santamaría International Airport and 5 kilometers away from our main local airport, Tobias Bolaños, where you can cath a flight to our mayor turistic attractions. If you want to travel within our country and get to the beach, volcanoes or rainforests you can book a tour with us at our tour desk or if you need a car you can rent it with us and it will be delivered right to our front door. 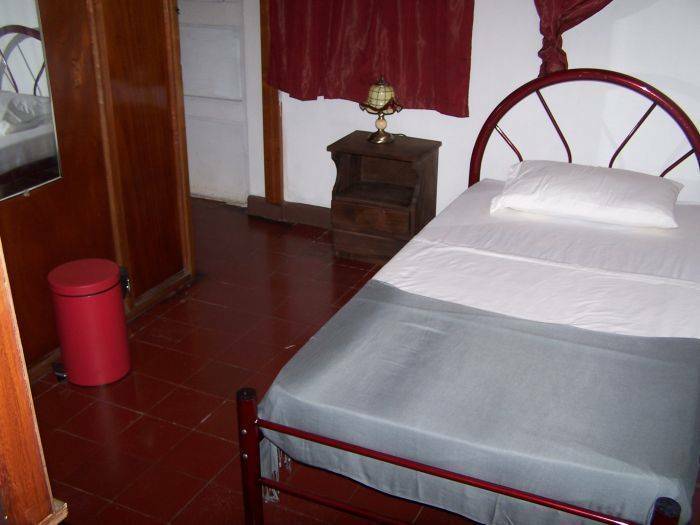 We have 7 double rooms, 5 of them have twin beds and 2 have queen beds. 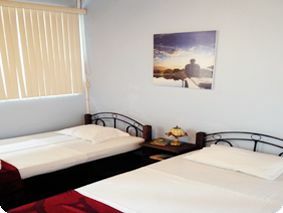 We also have 1 Quad room. All of the rooms have private bathrooms with hot water and a small closet with hangers. We have one room accesible by wheelchairs. All of our rooms have free internet Wi-Fi access. We also offer internet access in our computer at the front desk as a courtesy to our clients. We have free coffe and cookies all day as a courtesy to our guests. National Art Museum 700 m.
Central Park 1. 5 Km. Sala Garbo Cinema 150 m.
Multi Plaza Shopping Mall 5 km. National Museum 1. 9 Km. Pueblo Antiguo (Typical Town) 9 km. 4 Car Rentals within 100 m.
Yes we offer discounts for longer stays and groups. We will accept credit card payments. If you cancel with less than 48 hours upon arrival, the first night will be charged to your credit card. You will have a 50% refund if you cancel within 72 hours prior to arrival and a full refund if you cancel within 15 days prior to arrival during low season (April-November), you will have a full refund if you cancel within 21 days prior to arrival during high season (December-March). We are located on Street Number 30, between Ave 0 and Ave 2, just 25 meters away from Paseo Colon, right beside Budget Rent a Car. There is a bus stop 75 meters away from the hotel and the main bus staion (La Coca Cola) is within walking distance from the hotel (5 blocks away) where you can catch a bus to most beaches and to the country side. 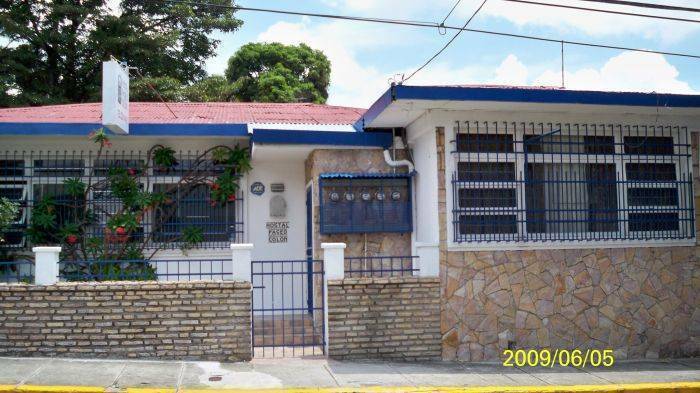 Nearest airport: The Juan Santamaria International Airport is 20 kilometers away.